Pooches look cute as they are in their natural element. 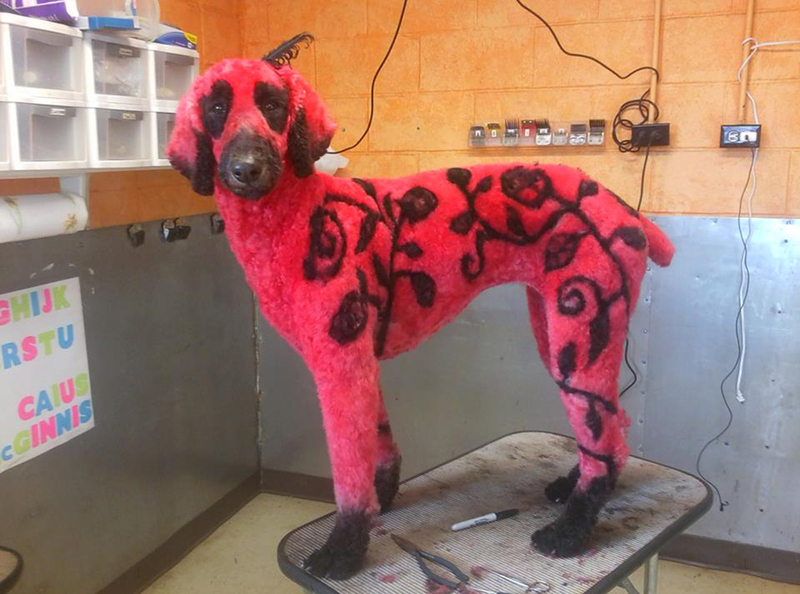 But a dog groomer from Missouri spends hours and hours to make her pet poodle look like any other animal! Rachelle Lynn McGinnis is the owner of a 12-year-old poodle named Bijou. She can transform her pooch into a peacock to a polar bear! 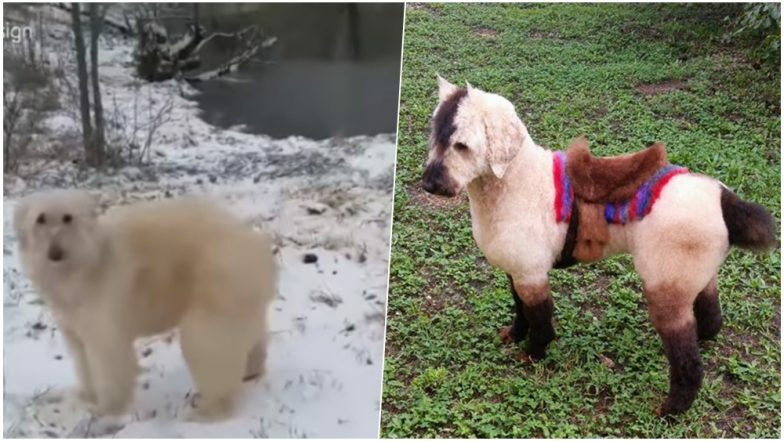 In a recent video, she has revealed how she makes her pet poodle look like a horse and even a polar bear. 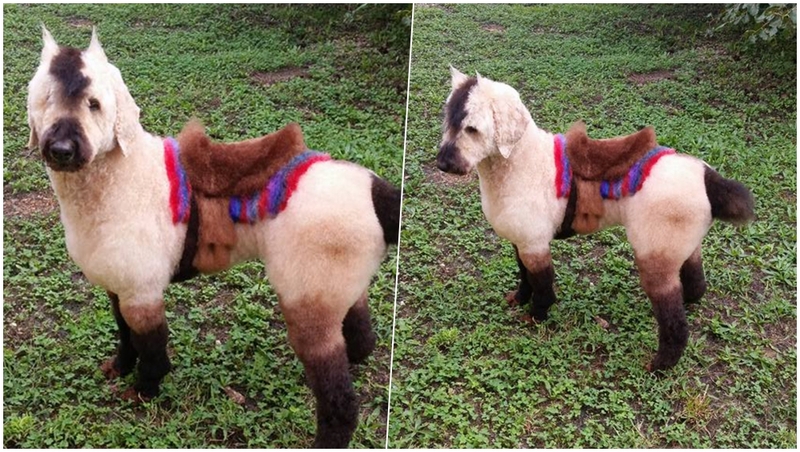 She uses extreme makeover techniques to transform the dogs into looking like other animals. Dog's Ear Falls Off After Owner Colours Them Red! Netizens Slam Thai Woman For Being Cruel and Irresponsible (Watch Video). 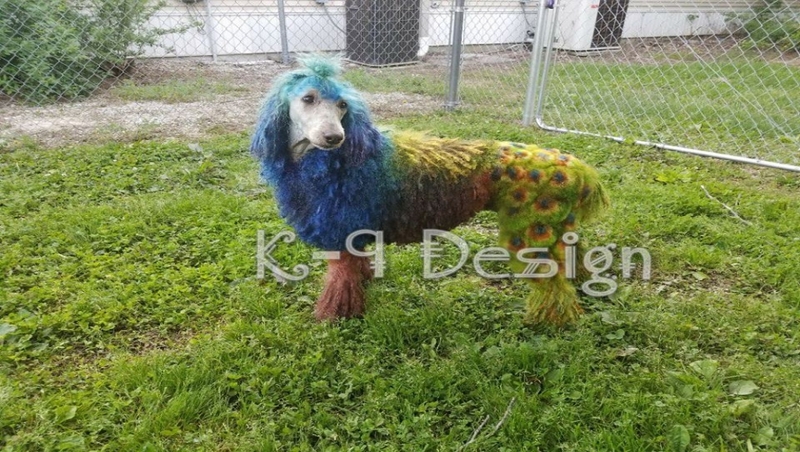 McGinnis is the owner of a dog grooming business called K-9 designs. While she grooms all the other customers, she transforms them into something unthinkable, more into resembling other animals. 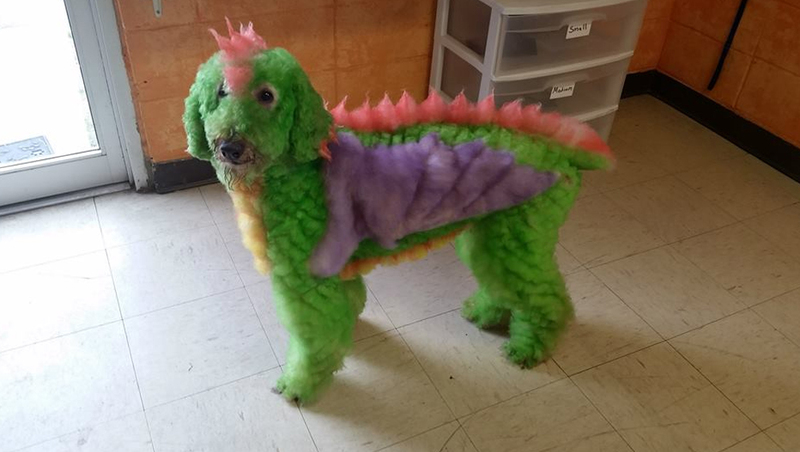 So she has turned her dog clients including her own pet into dinosaurs, polar bears, horse to even a Santa Claus. Her pet Bijou, loves the new makeovers she gets every once in a while. She was quoted to Daily Mail, "It's something I love doing and I feel like it shows off my creativity." Rare Dog Breed Mexican Hairless Which Looks Like a Statue Shocks Netizens! (See Pictures). Bijou transformed into a dragon! The current makeover has transformed Bijou into a polar bear. She's been turned into a fluffy white bear. Her trying of different looks for the dogs have been receiving positive reactions on social media. She has posted several of the looks she has done on her Facebook page. She uses a lot of animal dyes and hairspray to give them massive makeovers. Some of her projects take about a year to get perfect because of the fur carving. She tries to make her pet look as realistic as possible and assures there is no trouble caused to the pet in the process.